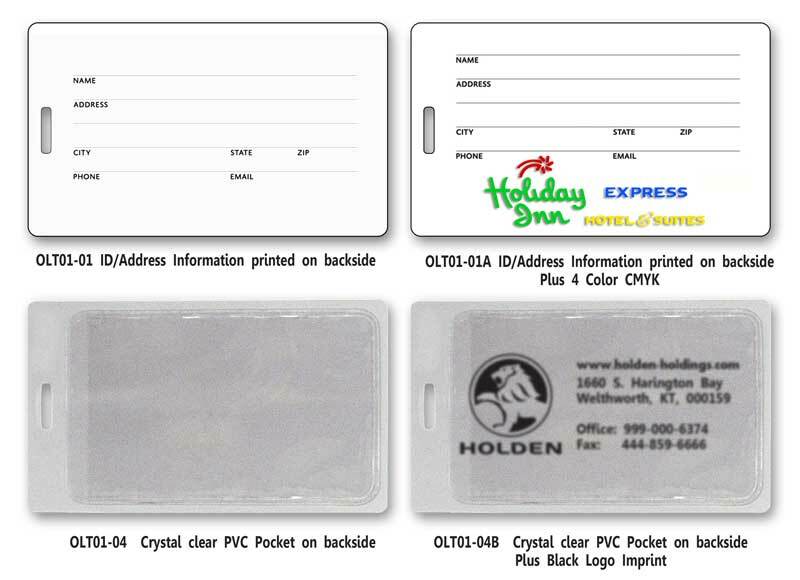 Lenticular Luggage Tag LT01-259: Stock Image - Blanks, Imprinted and Custom Click Here for Pricing! Luggage Tag with 3D images. LT01-259 features a lenticular flip effect between two different images containing plumeria flowers and sea stars. Our Lenticular Luggage Tag offers brilliant colors and attention grabbing graphics that is perfect to advertise your message on. Printed on 100% recyclable PET. Customize your promotional project by adding your company name and logo for a personalized finish. Given the longevity and frequency your company and its message is viewed, this is a great and inexpensive way to effectively deliver advertising messages, make a memorable promotional impact, and strengthen brand recognition worldwide. These Lenticular Luggage Tags are ideal for corporate gifts, travel and hospitality industries as well as for trade shows, schools, and many more. Maximum Imprint Size: 3" x 5"